I love this idea. 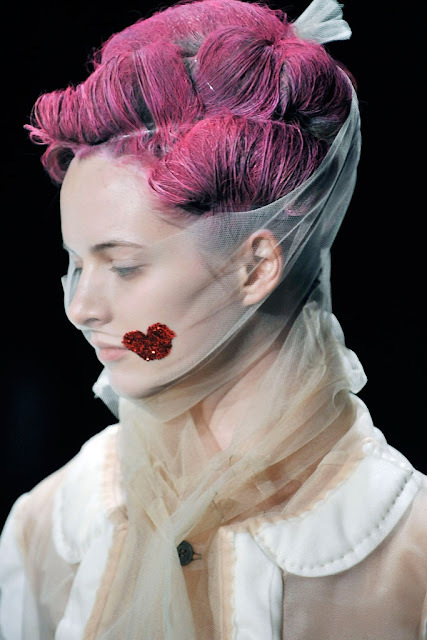 Make yourself a long scarf out of nylon chiffon or tulle (something you won't have to hem) and add a red glitter heart in the middle where you cheek will be. You wouldn't have to wear it so high up your face like in the photo. I think you could get the same effect if you left it just above your upper lip.